This chair is a combination of rustic, industrial and retro, so the perfect piece of furniture for those real lovers of the retro style. 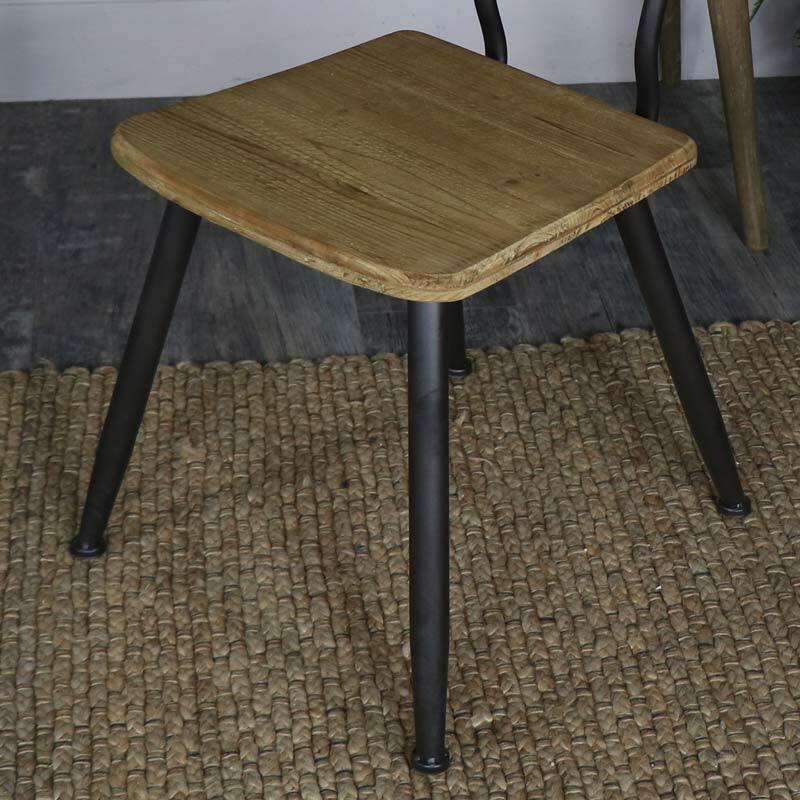 This stylish funky chair would look fabulous whether in the dining room, kitchen, office or hallway, adding rustic charm which everyone will love. With a wooden seat and back rest held together with metal frame and held up with sturdy metal legs. 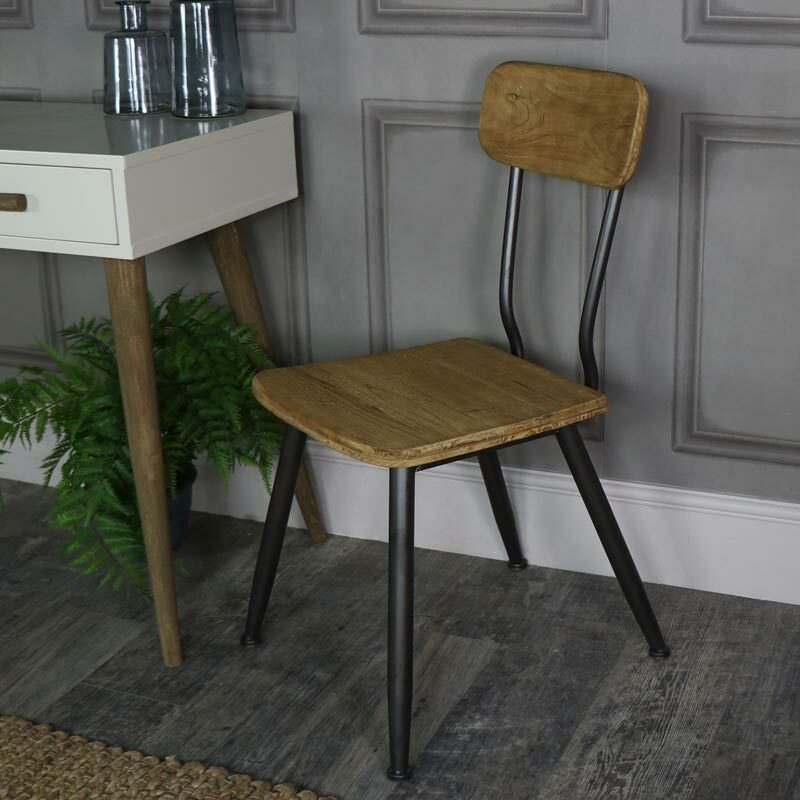 Durable, stylish and practical, this chair is a great addition to fabulous range of industrial style furniture. Made from wood and metal in a rustic finish that gives the appearance of age. 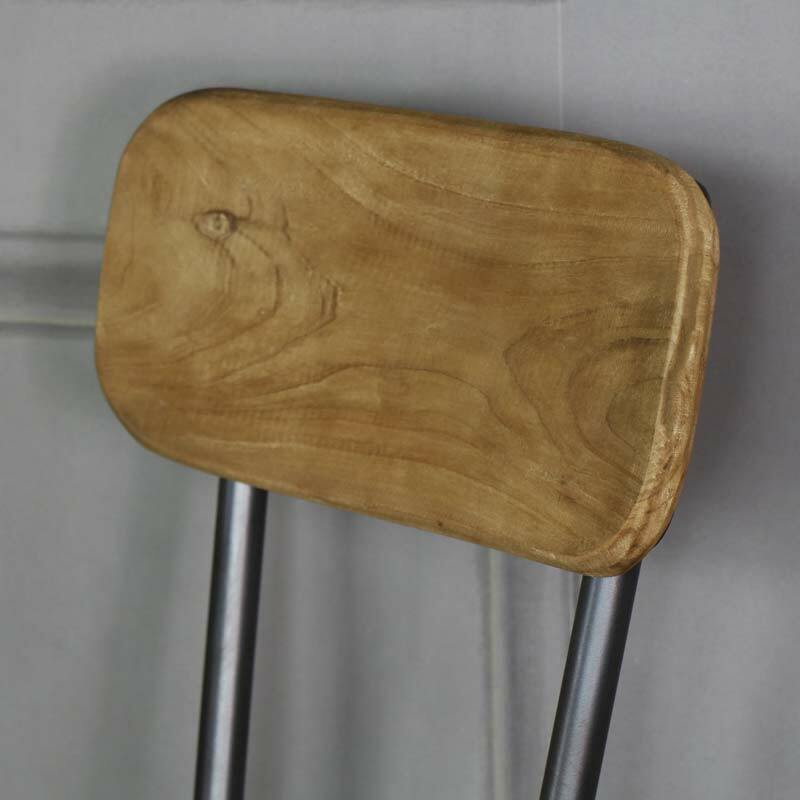 This would look great paired with our industrial range dressing table/desk.